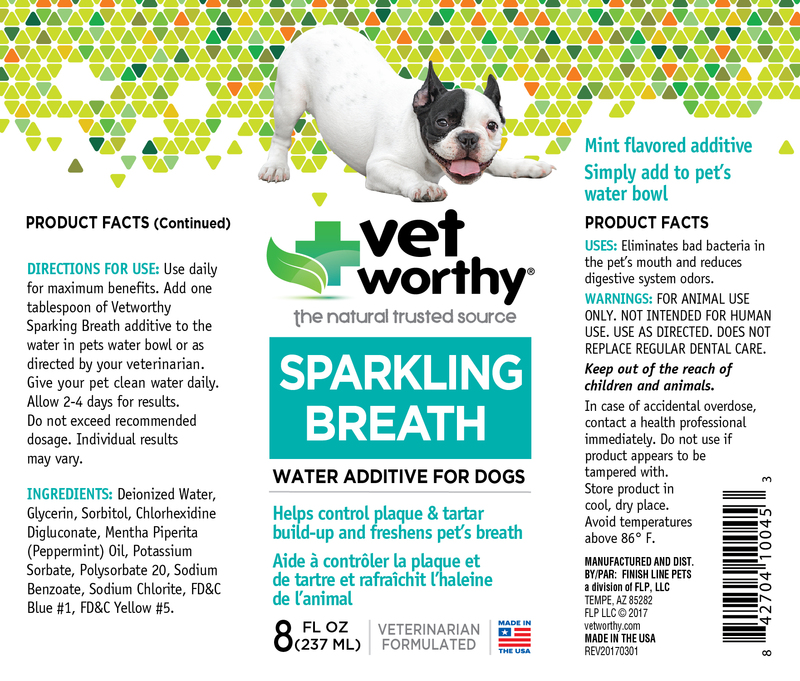 Veterinarian water additive formula for dogs. 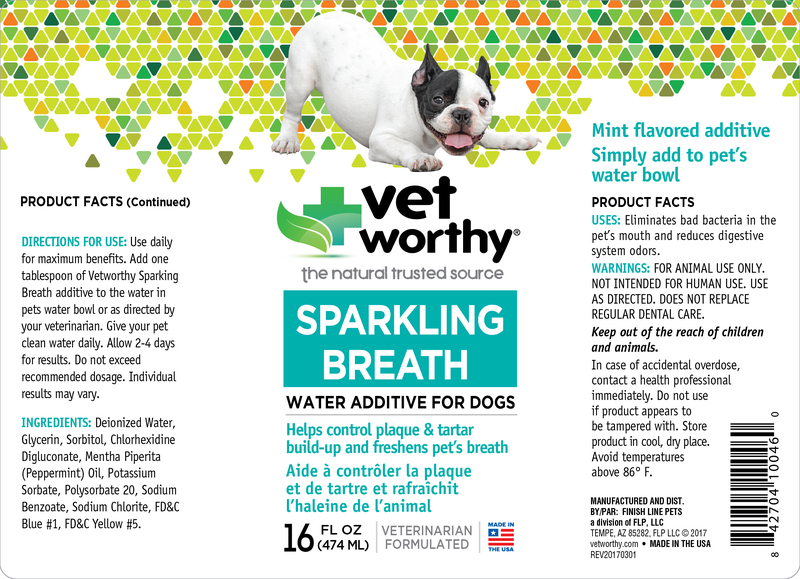 Helps control plaque, tartar build-up and freshens breath. Available in two sizes. 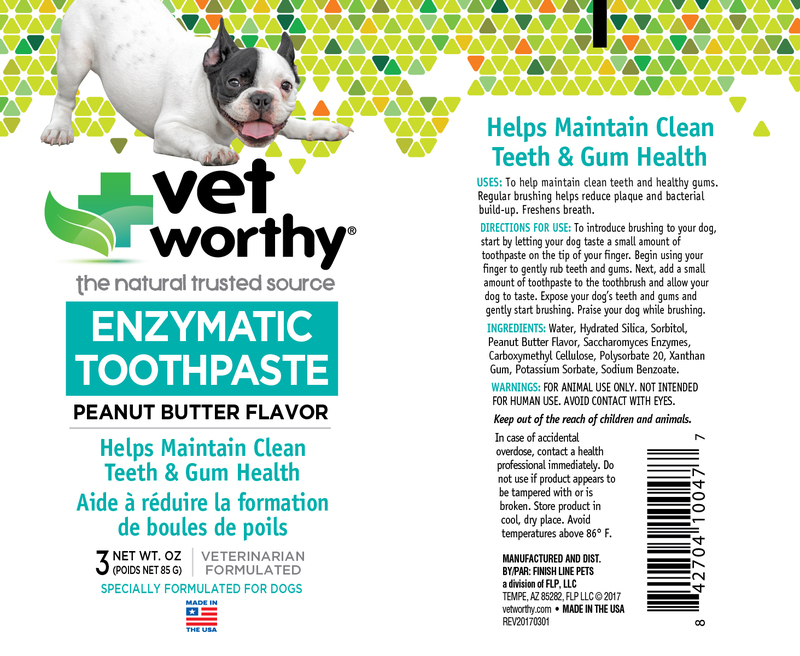 Veterinarian peanut butter flavor formula helps maintain clean teeth and gum health. Available in a squeeze tube. Helps maintain clean teeth and gum health. Kit includes peanut butter flavored toothpaste, one toothbrush and 2 soft finger brushes. Helps maintain clean teeth and gum health. Features angled brushes to reach every tooth and small and large bristle heads. Includes three brushes. Helps maintain clean teeth and gum health with rubber bristles. Includes two brushes.